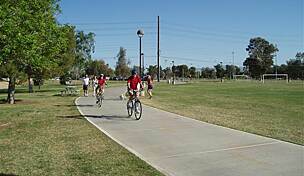 The Grand Canal Path is one of the longest multi-use trails in the Phoenix metropolitan area, linking the large cities of Glendale, Phoenix and Tempe. 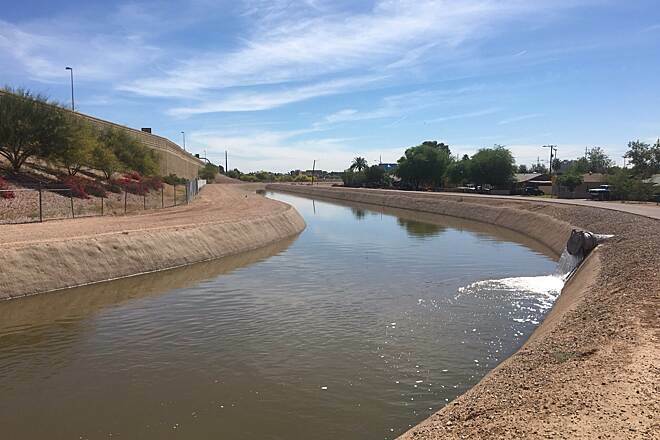 Like many of the area's trails, the Grand Canal Path follows an irrigation canal: in this case, the Grand Canal, which was built in 1878 and is the oldest remaining area canal north of the Salt River. 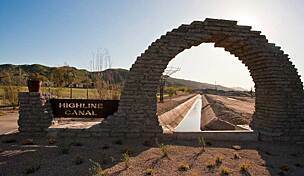 For most of its route, the trail offers paved and gravel options on opposite sides of the canal, with the rougher surface generally preferred by equestrian users and joggers. 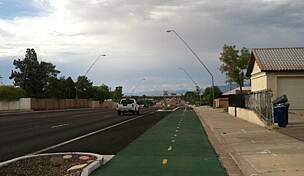 Plans are currently in the works to upgrade the paved trail in Phoenix with additional neighborhood connections and minor landscaping improvements in the near future. 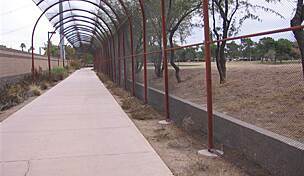 The Grand Canal Path connects to the New River Trail, which heads north into Peoria. 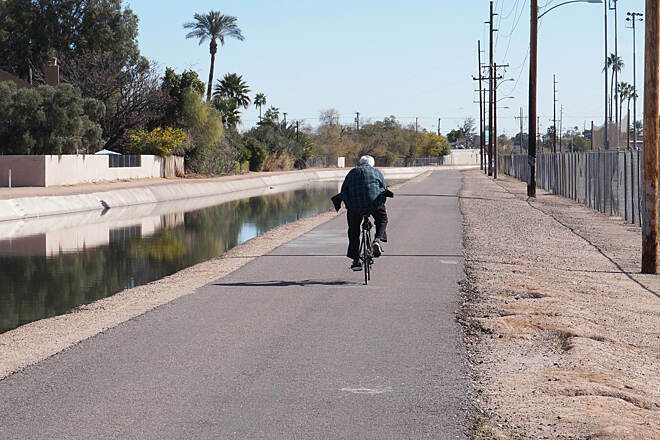 Parking for the Grand Canal Path is available in Grand Canal Linear Park (near the intersection of W. Camelback Road and N. 75th Avenue) and Glendale Heroes Regional Park (near the intersection of W. Bethany Home Road and N. 83rd Avenue), both in Glendale. 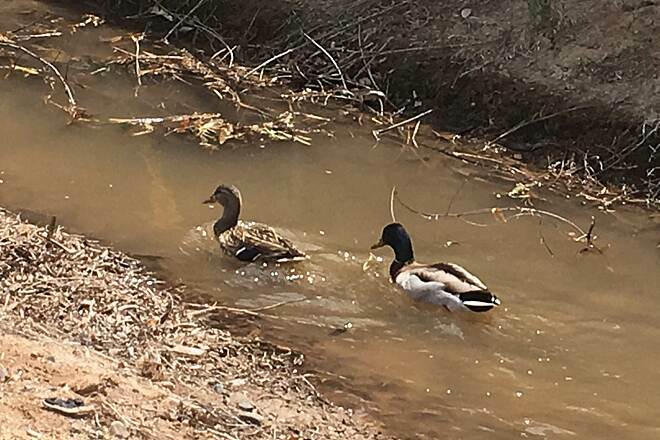 Phoenix is in the midst of a project to improve a significant portion of the canal path: http://www.grandcanalscape.com/ Work has started but it has not made a noticeable improvement yet. Most of the work is going to happen on the north side of the canal. Project descriptions indicate that there will be "improved crossings" where the canal intersects streets (which is a lot). If you ride the Grand Canal on Saturday and Sunday the crossings at 7th Ave, 7th St and other busy roads is somewhat manageable. Just don't expect to cross safely during weekdays. 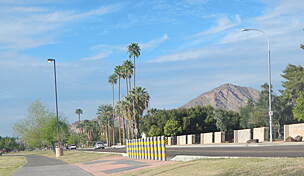 You almost always need to find the nearest crosswalk. I hope the "improved crossings" promised will alleviate some of this. If they do, I'll certainly do an update of this post. 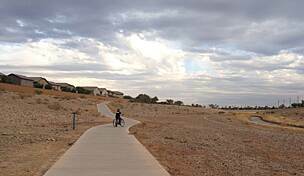 Rode the east end of this trail January 15, 2018 for about 12 miles. Starting at the Washington St trail end and going west. The first 1.5 miles are excellent and concrete, but the trail is totally torn up by building construction projects at Priest street and can not be ridden. Picked it up at 48th and Washington street and headed west for 9 miles. This stretch is not in good shape. It is part asphalt and part gravel. 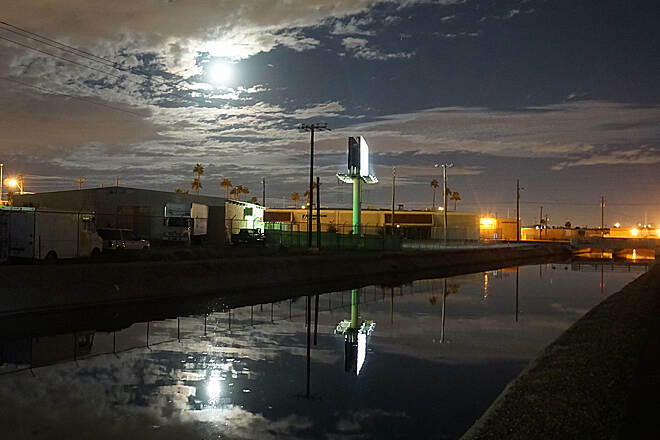 The asphalt has large cracks and holes, there are a lot of homeless along the way, the canal has a lot of trash in it, and about every 1/2 mile or so it is necessary navigate another cross street. Only one cross street had a crossing button, the rest you cross as best you can as the crossings are not at an intersection, and several are very busy. However, there is a new concrete path being laid on the north side of the canal, so in the future the trail may improve. 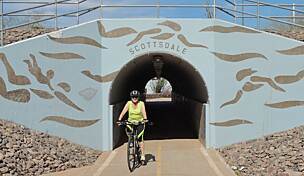 we rode it yesterday from its start at 107th and Bethany Home down to 67th Ave. If you stay on the curving concrete path north of the canal, most of it is really pretty. 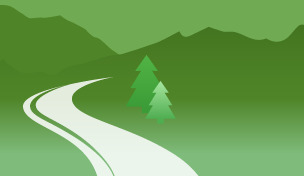 It runs mostly through greenways. You have to cross some streets, but that’s not as bad as i thought it would be. The part we rode on was very clean. We rode some of it on the path right next to the canal, and there was one homeless person camped out near there, but it’s easy to avoid that if you stay on the winding path just north of the canal. I look forward to going further southeast and will update my review then. my experience is much different then the 2 star review. It appears major upgrades have been made along this route and while yes as it enters the city there are some crosswalks, it gets better as you get near the stadium. i am not familiar with the trail heading east past grand canal park. 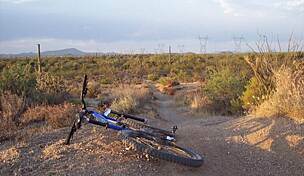 I've only lived in Phoenix a few months now but after several outings I can confidently review this trail. 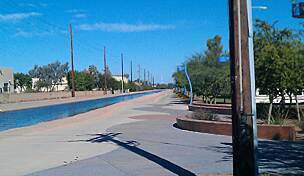 Compared to the Arizona Canal Path, which roughly parallels the Grand Canal (farther north), the Grand Canal is terrible. 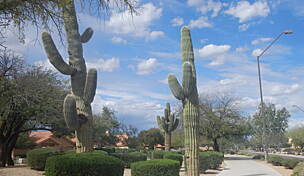 At first I was going to say that it had been neglected by the city. After my ride today, I'd say more accurately that the city has essentially abandoned it, at least for most of its length. Basically, this path has become a corridor for the homeless. There is glass everywhere, as well as trash. The pavement, for much of its length is in really poor condition. On the plus side, the canal does get you away from traffic. Well, sort of. With the exception of crossings at major highways such as the 202 and Hwy 51, there are no tunnels under or bridges over major roadways. Trying to cross 7th Ave, 7th St and others is impossible during the week without having to detour to crosswalks. On Sundays, I might consider changing my review to 3 stars because you can usually cross the road. 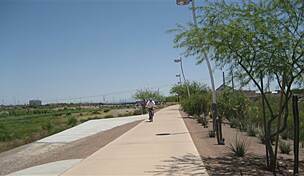 The Arizona Canal path (mentioned above) has tunnels at all the major roadways, much better pavement, less trash, less glass and goes through more areas with services such as restaurants and convenience stores. Don't bother with the Grand Canal until Phoenix decides to spend some money to upgrade.